A marine drum winch is a marine device used for some marine operations including anchoring operations, mooring operations, towing operations, lifting and pulling operations and so on. 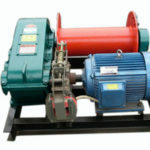 The winch drum is used to wind and store rope or cable and the first wrap of rope or cable around the drum should be put on tightly and closely. 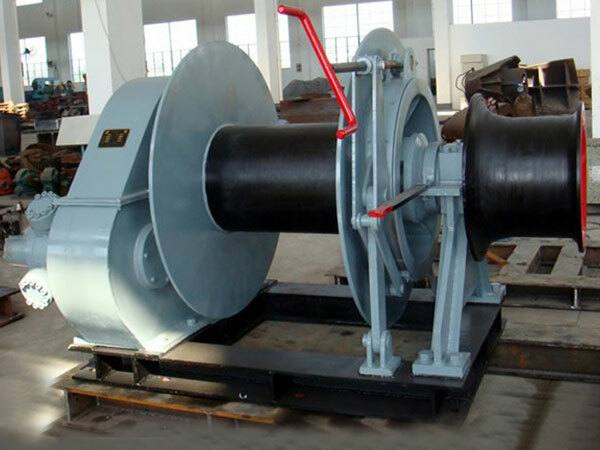 Marine drum winch consists of single drum winch and double drum winch, and they will have different rope capacities; sometimes, there are also winches with more than two drums in order to meet the needs of lifting, pulling and other operations. 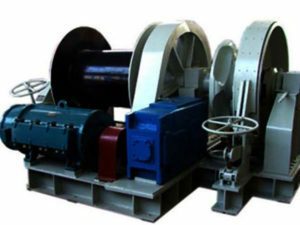 The rated capacity of the marine winch will be decided according to the requirements of clients. 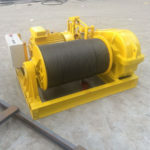 As the name suggests, single drum winch has one drum to wind and store the rope or the cable, and double drum winch has two drums for winding and storing the rope or the cable when it’s in the process of the operations. 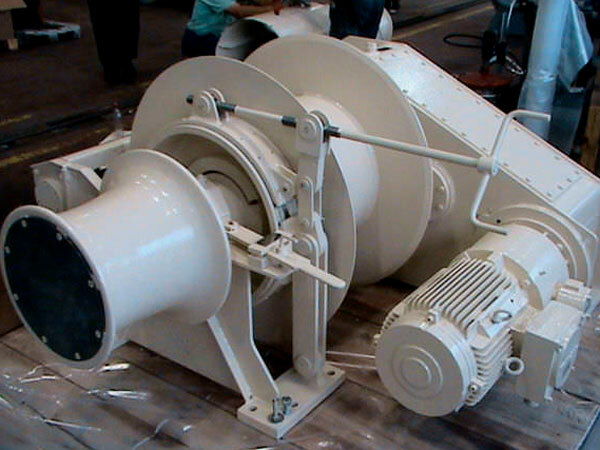 As double drum winch, the two drums can be parallel or the one in the front and the other one behind it. 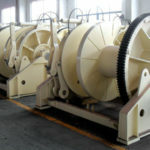 Except for the drum, some winches can also have one or two warping heads, known as warping winches, but the warping head does not store rope. Electric drive, hydraulic pump and diesel engine are available to be chosen for the drum winch as drive power, that is to say, there are electric drum winch, hydraulic drum winch, diesel drum winch etc. These winches can be with or without warping heads as needed no matter one, two or more drum they have. 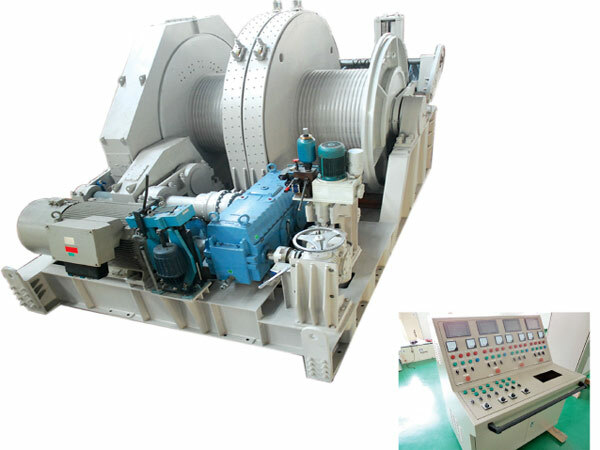 Both electric and hydraulic marine drum winches are commonly used in the process of some marine operations. 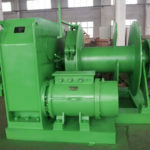 It’s necessary to provide such information when the clients need the drum winch, they have to tell the quantity of the drum: one or two and also the power mode, and they can also have other requirements on winch color, brake and protection device, speed and so on. 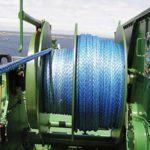 To ensure the safe and reliable marine work, it is advised to choose quality winches from professional manufacturers, or you may get the low quality products which cannot function well and suit your work needs. 1. It matters a lot to invest in a quality drum winch supplied by a reputable marine winch manufacturer. A winch produced with quality materials is always durable and function well whenever it is applied. 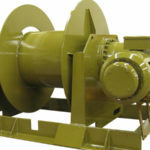 If the winch you select is well-made, you are far less likely to run into problems. 2. Examine and inspect the winch before using it, if there is any problem with the winch parts or accessories, they should be repaired or replaced in time to avoid risk or accident during the applications . 3. Do regular maintenance on the winch, for example, the winch needs to be oiled regularly to make sure the gears running smoothly all the time. 4. Use the winch properly according to manual or instructions. A person without knowing to use a winch cannot operate and control the winch in order to avoid the risks caused by misusing the winch. 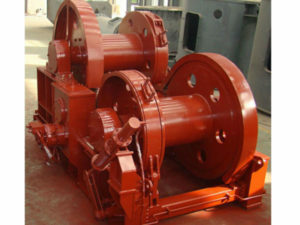 Marine drum winch is widely used during marine operations, such as ship anchoring, mooring, towing and loading or unloading weights. 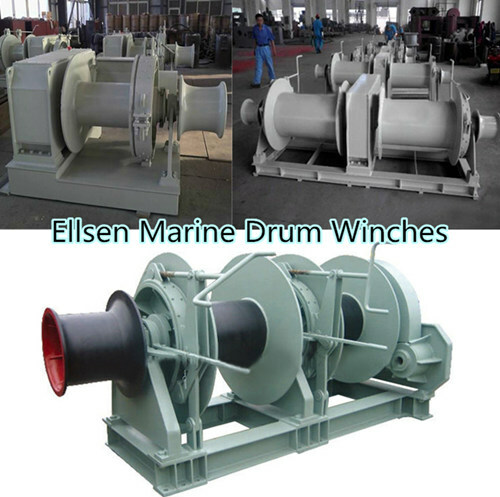 Ellsen supplies both single and double marine drum winch, you will be welcomed to ask for information from us about our drum winches for boats. No matter what kind of drum winch you need, we can provide you with the professional and suitable winch solution.